Just like last year, Walmart associates and other supporters in communities across the country are planning on protesting at a number of stores on Black Friday, about 1,500 locations this time around. 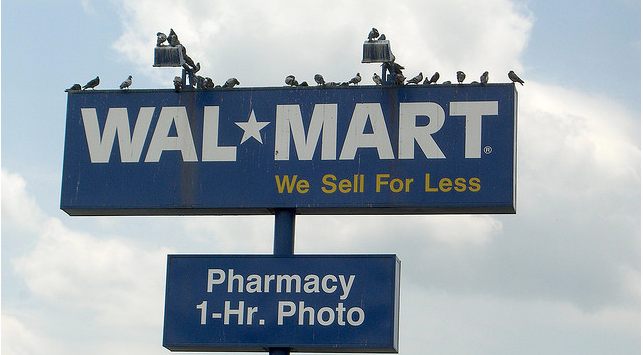 At the heart of those campaigns are supporters’ concerns over 825,000 Walmart workers who are paid less than $25,000 a year, alleged illegal retaliation against workers and improved labor standards. During a conference call with the press today hosted by OUR Walmart — Organization United for Respect at Walmart — Walmart employees weighed in on why they’re choosing to protest this year. “We as a country need Walmart to pay workers more, improve jobs, and in turn strengthen our economy,” explained Barbara Gertz, a Walmart associate and member of OUR Walmart. She referenced things like a Walmart holding a food drive so coworkers could help each other cover Thanksgiving costs and the 825,000 workers who aren’t paid more than $25,000 a year. That’s in contrast to the 425,000 workers who do, a number Walmart touts as an example of how awesome it is to work there. “A single store needs $900,000 in taxpayer funded support, which is why Walmart must pay workers more,” explains Gertz. One worker who’s already gone on strike in Texas says she decided to do so after working for the company for almost 19 years. “Yesterday me and my husband went on strike not only for ourselves but our families, but also for countless Walmart workers who are afraid to speak out about Walmart’s wages because of fear of retaliation,” she said during the call. A pastor in Chicago says his community is joining the protests after becoming disillusioned about what Walmart’s presence in their neighborhood would mean. At first, they were excited for the jobs and opportunities that would come to their community along with Walmart. Along those lines, Amy Traub, a Senior Policy Analyst, says that it’s possible to pay workers higher wages without raising prices for consumers, pointing to Walmart’s practice of spending billions of dollars each year on “productive financial maneuvers” like share buybacks.